Hi there, I hope you’re well and enjoying the summer whatever you may be doing. I’ve been in Spain for a week now, I didn’t feel like I was quite ready to come, there was so much to do in the UK with starting a new business and lots of other things that were going on. But like always, everything important got done and everything that wasn’t urgent was bought with us. We arrived in Spain after a lovely journey on the ferry from Plymouth to Santander. We always drive to Spain as we can then take our two dachshunds with us, I couldn’t be apart from them for 5 weeks! So, about 10 weeks ago now, we started our new business with Oriflame, and it’s going really well. I am so glad that we found another network marketing company because I feel that network marketing was the reason I was able to make so many positive improvements in my life all those years ago. My life became unrecognisable to what it was, and it was all because I came across books and material that helped me to gain confidence and belief in myself. I was able to step out of my comfort zone a little at a time, I achieved new levels and got recognised for it, giving me more self esteem along the way. It feels right to still belong to the industry even though the company has changed. I actually love this company, I love trying out all the new products and sharing them with people. 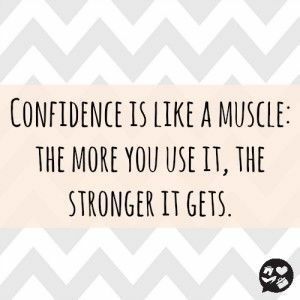 I love how the business revolves around feeling good, and building confidence in who you are as a person, and helping people to look good on the outside and feel good on the inside. I have started taking the women’s wellness capsules and I’m interested to see the long term effect. Also, their are lots of people in our team who are really stretching out of their comfort zones and it’s really great to see. They are doing things they have never done before, demonstrating products, doing live videos and taking before and after selfies! I really believe that this business fits with me as a person too, what I really believe in……..people taking baby steps to achieve things that they never thought possible, people becoming empowered, being part of an environment with like minded people that are success driven. 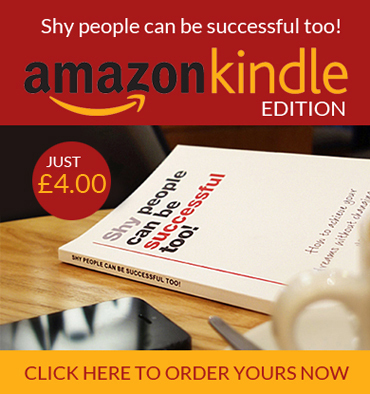 I am more passionate than ever about helping people to become successful, especially people like me who are a little bit quiet, shy and maybe introverted. I believe that this business is perfect for people like us. Another major change in my life before we came to Spain was that our 10 year old son Javier, started back to school after being home-schooled for nearly a year. I have so enjoyed our time together and I have learned such a lot about the benefits of home schooling. However, Javier had always said that he would like to go to high school, so we talked about it, and we decided as a family that it would be best for him to start now while he still had another year of primary school to get used to school again before going to high school next September. For anyone considering home schooling (in particular un-schooling which we preferred to do), I would definitely suggest giving it a go. It was such a great experience. Who knows what Javi will do? He may decide in the future that he wants to return to being home schooled. Whatever he decides will be fine with me, I am so grateful to have had the opportunity to be flexible on this with him for the past year. I am reading Louise Hay’s book again The Power is Within You, as you may have heard me say before, I love Louise’s simple methods. I have been a member of Carrie Green’s Female Entrepreneur Association for a while now and I love that I have access to lots of different modules as and when I need them. There is also a brilliant FaceBook group where everyone helps each other and live events to attend online too. I had to have a massive cut down of all the email lists I was part of a few months ago as I was just receiving too much to get through. But one of the subscriptions I love to receive is from Susan Cain. Susan is the author of Quiet – The Power of Introverts in a World That Can’t Stop Talking. She shares some amazing stories that I can really relate to and I’m sure you will too. Oh yes, I nearly forgot! I’ve been visualising and it’s really exciting! Here’s what I have been visualising……….I am on the train to London (in the first class section) and I have a meeting with Hay House publishers. I arrive at Euston and I am picked up by Addison Lee (a posh taxi firm that has always stud out to me when I have visited London) and they take me to the HayHouse head office just outside Covent Garden. I have a successful meeting with them and then I enjoy a wander around and a bite to eat before heading back for the train home. I enjoy the train ride home, happy and excited at the outcome of the day. What are you visualising? Does it make the hairs stand up on your arms? It only takes 5 minutes a few times a day, but visualisation is massively effective. It will take practice at first, but eventually, you will actually feel like its really happening. Have a go and let me know how you get on. I think thats all for now, as always I would be really happy to hear from you, let me know what you would like me to cover in my future posts. PS If you’re interested in being mentored by me, please reply to this email, we can have a chat and see how we would fit working together. I do have a very flexible approach to mentoring sessions, however I do prefer to mentor people on a face to face basis, so if this appeals to you, let me know. Helping people to achieve success is my passion.